Living in Nevada, there are few things more desirable than having a pool in your own backyard. A private pool is a beautiful home improvement offering real value during the long hot, summer days in Las Vegas. Whether your aim is having a place in which you can up your fitness routine with afternoon lap sessions or somewhere to entertain your children and their friends, pools simply rule. A skim a day keeps the pool doctor away. 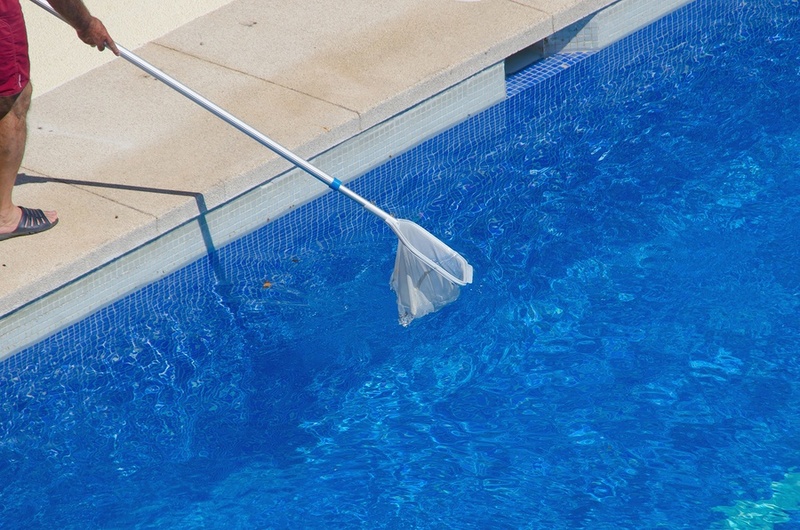 Every day, take a minute to skim off the leaves and other floating debris from the surface water of your pool. This 10-miniute routine goes a long way in keeping your pool looking pristine and preventing large objects from blocking your filter. You'll also want to commit to a bi-monthly scrub of the sides of your pool to prevent any algae from building up. Tennis balls are a great low-cost solution for oily pools. Tennis balls aren't just for bouncing around. The tiny fibers that make up tennis balls are ideal for helping absorb many of the common oils (think sunscreen lotion, conditioner, and natural skin oils) swimmers leave behind in the water. This helps avoid pool top sheens. Your pool shouldn't have tides; keep an even water level. It's important for a pool to maintain a certain water level to keep everything working properly. Yet, heavy rainstorms and cannonballs can easily throw that level out of whack. Keep your levels at about halfway up the pool's skimmer by adding hose water when it’s too low and using a submergible pump or bucket line to empty extra water when it’s too high. Protect your pool from flying debris and stay comfortable with a pergola outfitted with Polar Shades. This one isn't so much a maintenance tip as a comfort suggestion. Outdoor structures like a pergola or cantilever structure are great for adding shade and creating a comfortable outdoor space to watch the kids swim. With a four-corned structure, you can add something like Polar Shades' motorized exterior shades for optimum shade flexibility. This style of exterior shading allows you to have complete control of how much shade you want, whenever you want or don't want it. For more information about our selection of exterior retractable shades, or to help you determine the best choice of exterior or interior shades for your patio and home, contact Polar Shades at 702-260-6110 for a free in-home consultation. Our team of shade experts looks forward to helping you solve all of your sun control needs.